Thank you so much for your feedback on my home. It´s always nice to hear other opinions, since I normally get “blind” when it comes to my own home. 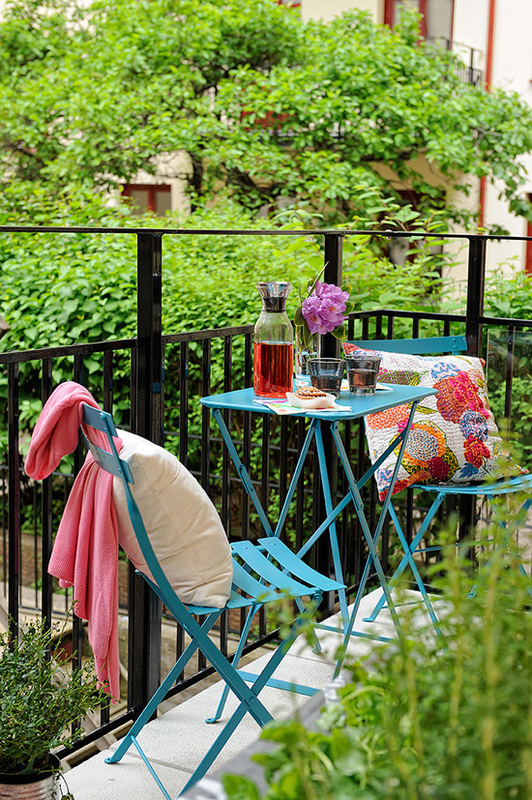 Today I want to share some lovely outdoor spaces with you. I think they are very inspiring and appealing. A colorful blanket really does it all sometimes.. This is my favorite! Love the carpet and the fresh look on this balcony. Notice the cool magazine holder – a great idea! I hope you got some ideas if you are looking for inspiration for your outdoor area. You can see a lot more inspiration here. Fin dag til deg og en fantastisk ukesstart. Her er det rolig uke, men masse spennende i gjære! LOVE! Smil& fine tanker til deg.. I absolutely agree with the others – very inspirational! 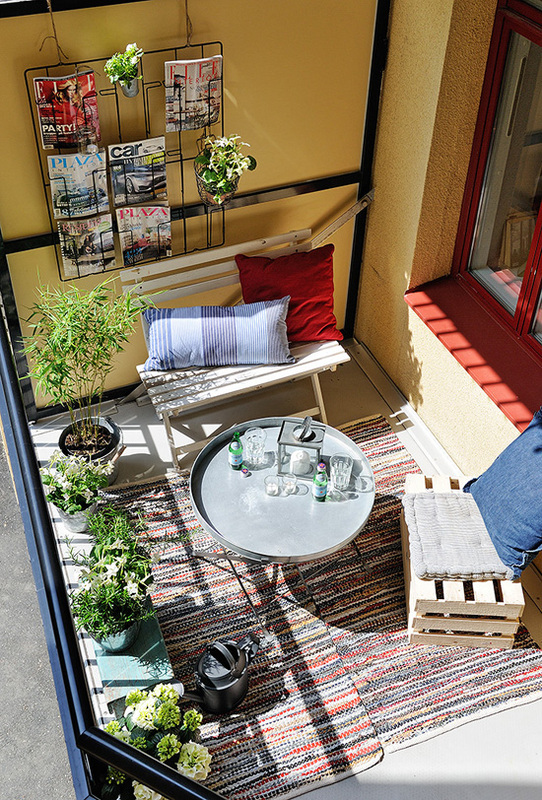 Got great ideas for my small balcony! Hi, lovely pictures!! So inspirational – have a great day!! 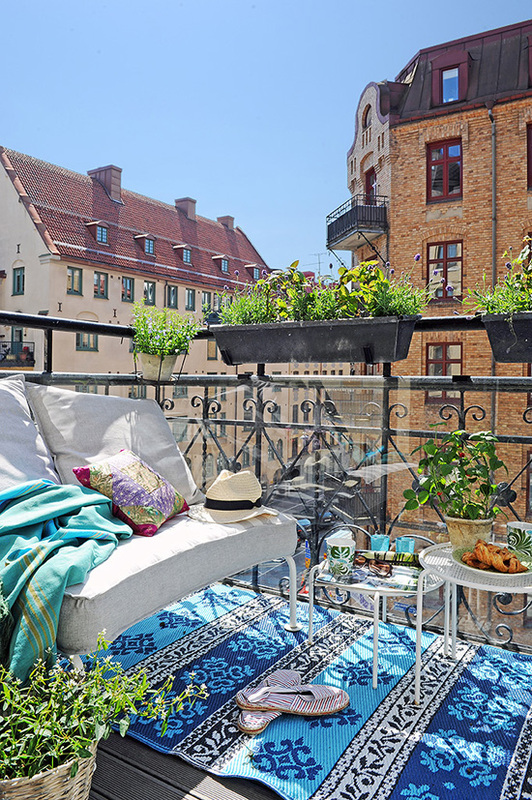 Really great inspiration – and all of them remind me that I haven’t got a balcony and that I miss it so much:-) Have a great week, Nina! Flotte farger og deilig vår! 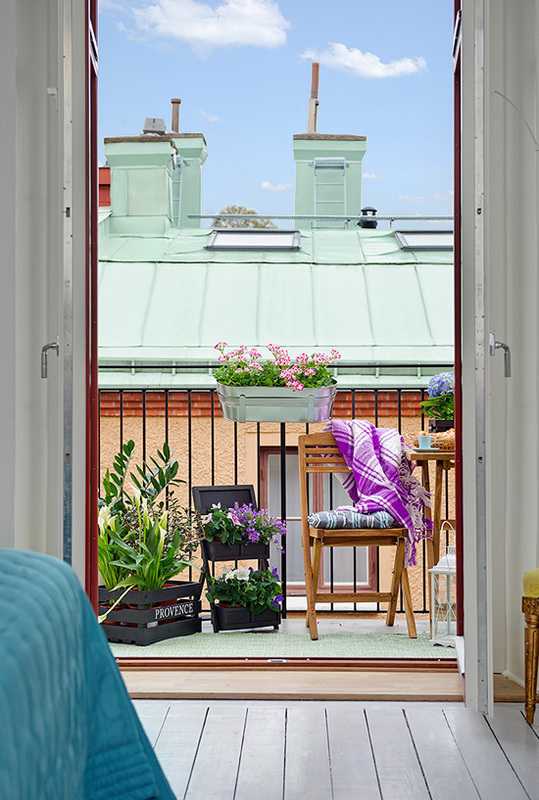 Yes, you need a balcony to put those ideas into life, but still a great bunch of decoration ideas nonetheless.